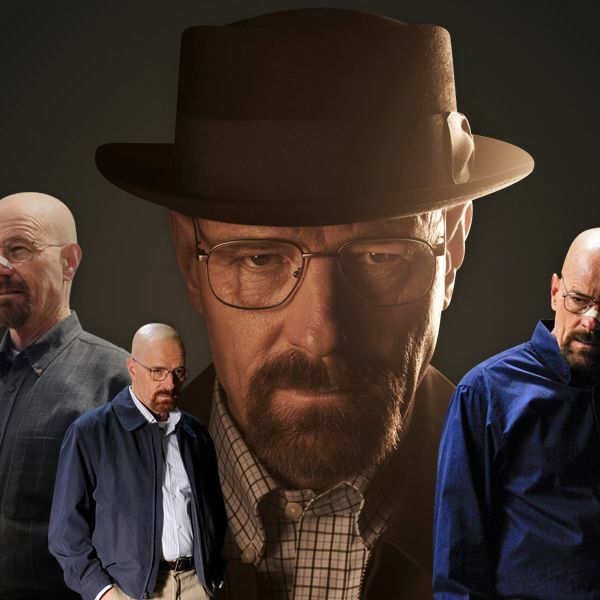 It’s a little surprising to hear costume designer Jennifer Bryan refer to Breaking Bad as her dream job. After all, it’s not exactly Gossip Girl. But what the AMC drama lacks in fashion forwardness, it makes up for with impeccable attention to detail and character. After three seasons of creating Gothic period costumes and trendy high-school ensembles for CW’s The Vampire Diaries, Bryan is delighted to join creator Vince Gilligan’s world, where a single hemline or shade of green can speak volumes about a character. Vulture spoke to Bryan about Gilligan’s marching orders, and how the changes in Walter, Jesse, and Skyler’s lives are affecting their wardrobes. When you first met with Vince Gilligan to discuss season five, what sort of notes did you get? Vince is a very hands-on creator of the show, and so he spent a couple hours with me, and we went through the characters one by one. Because they are so well-established, we didn’t really want to make such drastic changes that the audience would get confused. But I was able to shift the color palette of it, which was a major thing I did, and I introduced some new textures. The color palette is darker this season, at least for Walt. Walt got darker colors because his character gets, as we’ve noticed, darker. And his style has become — it’s almost like he takes on Gus’s sartorial fussiness. He still does his shirts and he still does his khaki slacks and he still does his Clarks Wallabees. Those things are still there. But I did a couple more colors in the same shoe, and he puts a little bit more thought into his clothes. I think he picks that up from Gus; it’s almost like Gus is channeling through Walter White a little bit. And the Wallabee boots are something that the character has had since the beginning. He’s also got the new yellow hazmat suit with the purple gloves, which is such a cool visual — almost like a comic-book villain. Oh my God. Yes, yes. We wanted that little pop of color. And it’s also visual relief, because the show is so dark. So that yellow hazmat suit is not a coincidence. And then of course, I redesigned it, because you know, in the last episode [of season four], the super-lab blows up. So consequently, they would have to have new equipment, so that was my opportunity. The hazmat suit that you see in the poster for season five, it’s a slightly new version. Let’s talk about Jesse. Is his look less hip-hop these days? We talked a little bit about where he saw Jesse’s character going this season. And what I can share with you is that basically he grows up a bit. I don’t think his street cred is all that critical and important to him anymore. I think what is important now is his credibility to Walter, that Walt treats him as an equal. So I still kept an urban vibe, but the slacker-stoner-baggy direction — I trimmed that way back. So in the first episode, he’s in this really cool, hip leather jacket, as opposed to a slouchy hoodie sweatshirt kind of deal. And everything is a little close to the body, but still urban. Occasionally, I’ll put a graphic T-shirt on him, but the graphics that I’m putting on his T-shirts are now definitely more subdued, more sophisticated. There’s one with that grenade, and you can see it’s a very stylized grenade — as opposed to maybe in season four, it might have been more graffiti-looking, for example. How about Saul Goodman, the lawyer? I want to know where that character shops. I want to know where he shops, too! [Laughs.] I had to kind of throw out every rule of coordination. I swear, sometimes I was like, “How am I going to fit that yellow tie with that purple shirt?” And literally, I will have to almost close my eyes and grab whatever I got and say, “Okay, okay, I’m gonna make this work.” And Bob Odenkirk, the actor, he comes in for fittings and he gets into character. I’ll put him in his gear and he starts shooting his cuffs, he lifts his pants up, and he gives you this very coquette turn like, Check out these socks, baby! Skyler has more of a businesswoman thing going on this season, it seems. Yes. This is something I do sometimes with wardrobe and putting looks together for television: I sometimes will use the clothing almost as an armor, as a protection from whatever adversarial thing is happening in that character’s life. And for me, I just look at her business clothes as armor for her husband’s drastic change. And her palette also over the season you’ll see shifts. I mean, I can’t reveal to you where it ends up, but if the viewer watches, they’ll also see shifts as she goes through what the writers have in store for her.